Turn down the volume on your speakers, friends, because I’m about to get S-C-R-E-A-M-Y. This book. THIS BOOK I CANNOT. Because Mehr! Oh Mehr. I loved her so much. SO VERY MUCH. Let me break it down for you in legitimate sentences and not just a series of non-specific, enthusiastic exclamations. A strong character in quieter sense, meaning nonviolent, Mehr would give Marcella Morgan herself a run for her money. Jk they’d probably be best friends. But my point stands. Mehr’s toughness didn’t come from turning men to dust, or stabbing a sword into her enemy’s heart. Rather, it was her internal resolve. Not even Mehr’s privileged upbringing could stop her from being treated like an outsider. Kept separate from her sister and constantly told she was less-than, Mehr had to look within for acceptance. No matter what others said, no matter which whispered insult passed her by, Mehr stayed true to her beliefs. Her history. Her blood. Even when she was forced into impossible situations where it would have been easier to bend, there were moments she chose punishment over remaining silent—a next-level type of courage and yet, only a taste of Mehr’s strength. Astounding and admirable, to say the least. I would like to briefly note that my esteem towards Mehr also extended to another character who isn’t mentioned in the description, so I won’t talk about them aside from saying I LOVE THAT CHARACTER SO MUCH MY HEART HURTS. 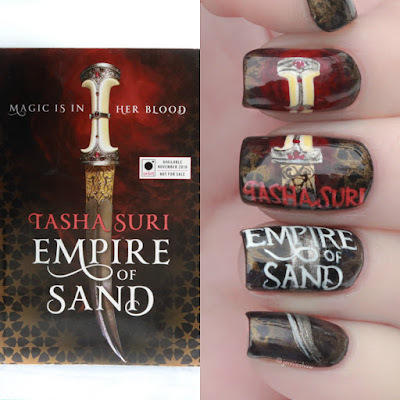 I insist that you DM me when you read EMPIRE OF SAND so we can gush about this character who I can’t talk about, but also need to talk about, so let’s move on before I crack under the fangirl pressure. 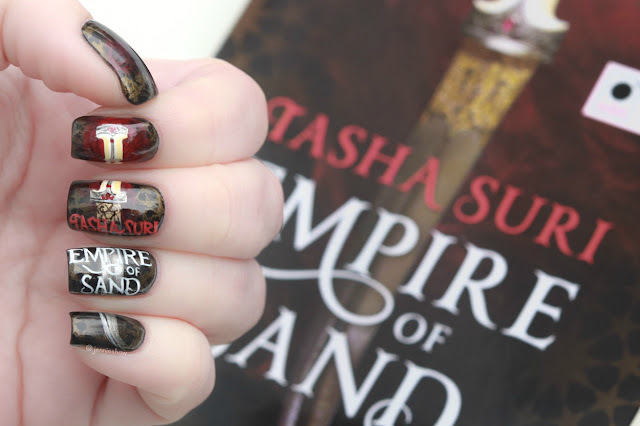 Now that I’ve addressed the dynamic awesomeness of Mehr and Unnamed Character, it’s time for me to straight-up grab you by your beautiful cheeks and bring you close so I can whisper, “You have no idea how incredible Tasha Suri’s writing is,” in the least creepy way possible. And then follow-up by grabbing the lapels of your jacket (because it’s snowy here) and shake you a few times because FOR REAL THIS WRITING. 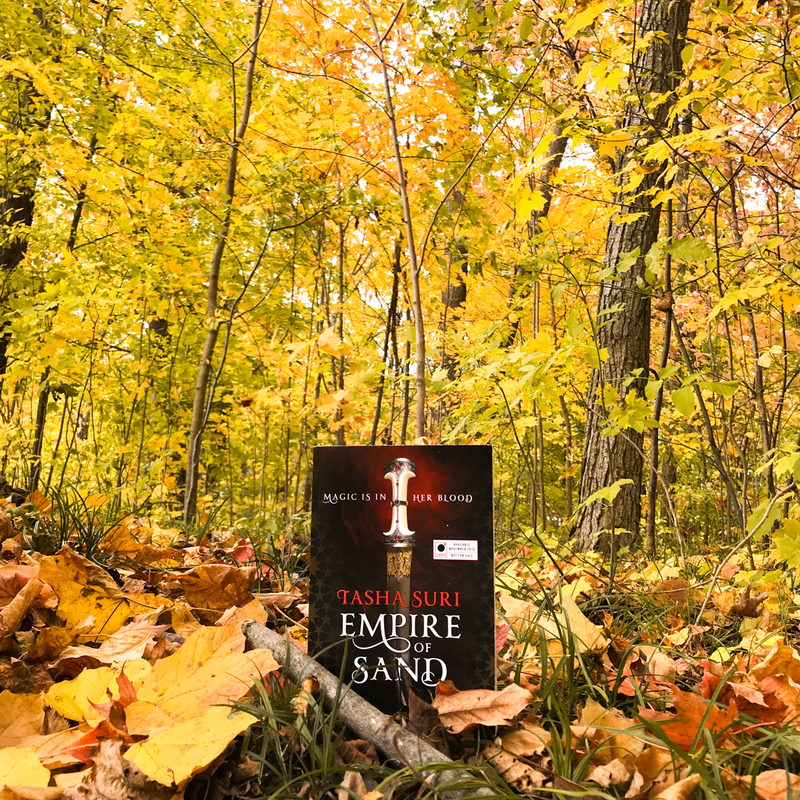 An elegant delivery with a perfect amount of bite, EMPIRE OF SAND had the sort of voice that made the world fade away. Suri’s masterful ability to describe physical movement was among the strongest I’ve ever read, which I appreciated infinitely because dance played a key role in Mehr’s life, and it's often a challenge for me to imagine scenes of that nature. But not here. In this book, I could feel the movement in my limbs, and it was glorious. So look, I know there are a lot of awesome fantasies out there, including a fair amount of debuts, and you may be thinking that you don’t have room for another. To this, I say “we both know that's not actually true because there's always room for more.” If you love fantasy, you NEED to read EMPIRE OF SAND. Like, it’s not optional. You’d be doing your brain and heart a disservice to not immerse yourself in this unbelievable tale of love, sacrifice, and determination. And I haven’t even mentioned the diversity and Indian setting, the intricate descriptions of lavish furnishings and clothing. Or the powerful way Suri incorporated feminism, spirituality, and faith. In short, I am completely obsessed with EMPIRE OF SAND and have full confidence that you will be too. Five stars plus a billion stars, for a total of one billion and five stars. Big thanks to Orbit Books for an ARC!